Most moles can be recognised easily by their appearance. Our experienced team of dermatologists at Atantic Dermatology and Laser are trained in the use of an instrument called a dermatoscope to examine a mole closely. The field of dermoscopy is so specialised that we even have entire congresses dedicated purely to this small device! Dermoscopy is an extremely sensitive tool in the detection of atypical moles, malignant melanoma as well as numerous other skin cancers. A dermatoscope magnifies a mole (up to 20 times) and helps to examine it in more detail. It is a painless and invaluable procedure. 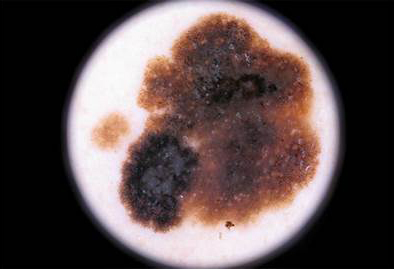 If more than three dermoscopic features are seen or if any of the dermoscopic “red flags” are seen, then we will recommend removal of the mole so that we can check it out at the laboratory. In all cases, we recommend mole mapping in addition to our routine dermoscopic examination.